DemDaily: Resistance Summer Kicks Off! This weekend kicks off Resistance Summer, the Democratic National Committee's (DNC) campaign to unite Americans in the name of resistance against an administration that seeks to divide its people - and to elect leaders who will prioritize the needs of middle class and working families. 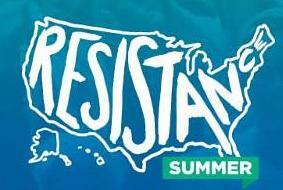 The mission of Resistance Summer is to "educate, organize, and mobilize grassroots energy from Democrats in all 57 states, territories, and Democrats Abroad to help build our party's base of political power and resist Trump's attacks on hardworking families." June 3rd, Saturday: State parties and allied groups will hold events across the country to kick off Resistance Summer. 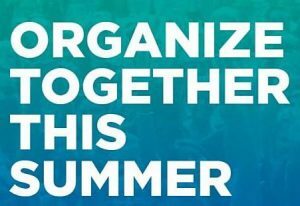 June 14th -17th: The DNC will hold a national training summit in Detroit, Michigan to train hundreds of organizers and fellows. The name plays on the historic "Freedom Summer" of 1964, a turning point in the civil rights movement when thousands of volunteers in Mississippi participated in a campaign to register black voters and set up programs to end the political disenfranchisement of African Americans in the Deep South. The Rundown: on info, events near you and how to host one yourself: Resistance Summer! Post Your Event: to the DemList Calendar for each state to get the word out. All free to help! Help DemList with a Contribution Today! DemDaily: New Voter Reg Deadlines – 15 States & DC Today! Of the 400+ events at the Democratic Convention, many are to bring attention to a cause or mission, and its diverse constituency.